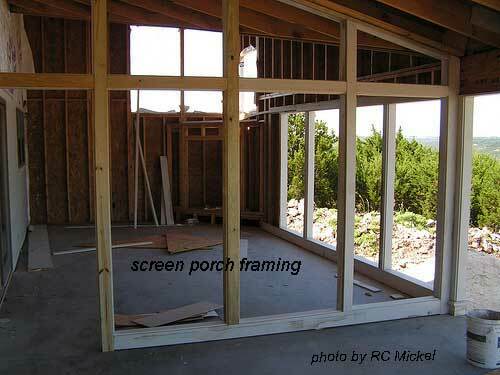 Build a Porch Part 2: If you missed the other sets of pictures, here is Build a Porch Part 1 and Build a Porch Part 3. 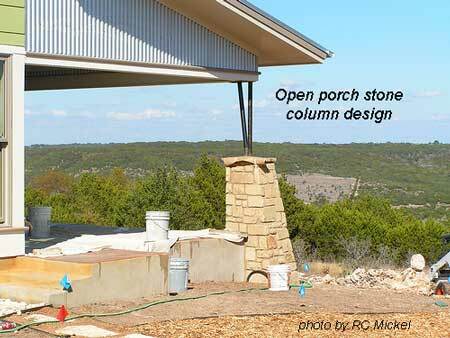 We are really pleased we have the opportunity to let you see how a combination open porch and screen porch are built on a dream home located in the Texas hill country. 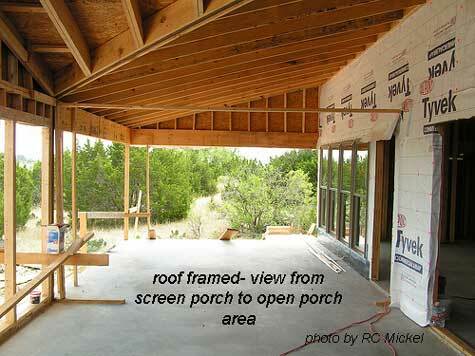 From the original design, the porch actually consists of an open area and a screened in porch complete with fireplace. 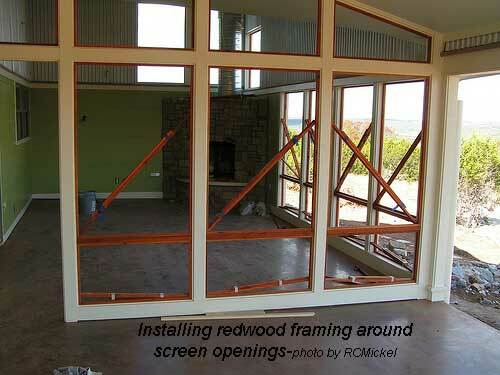 The screens in the screen porch will be held in place with redwood framing. 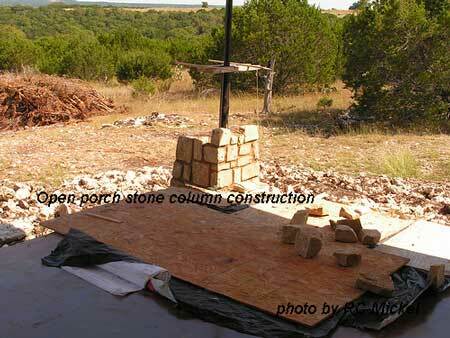 The roof will be supported by a stone/steel column and a steel beam. 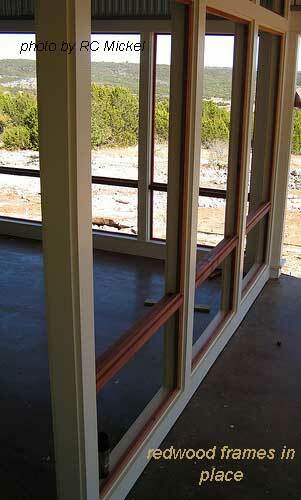 Included in the porch design are ceiling fans for both areas and a sprinkler system. Our many thanks to RC Mickel and family who are so kindly sharing their photos with all of us. 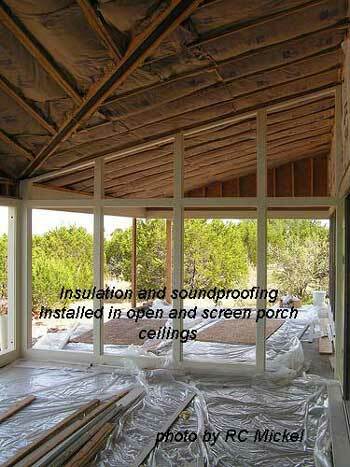 Screen porch wall in place and ready for screen framing. 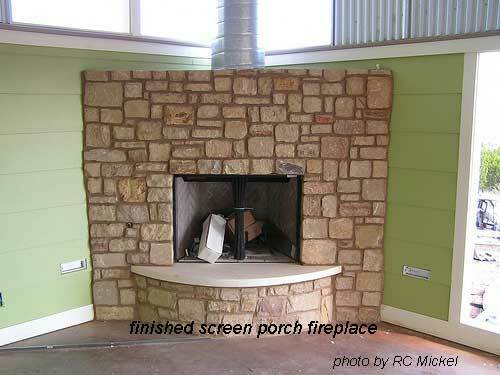 Fireplace has been framed in corner. 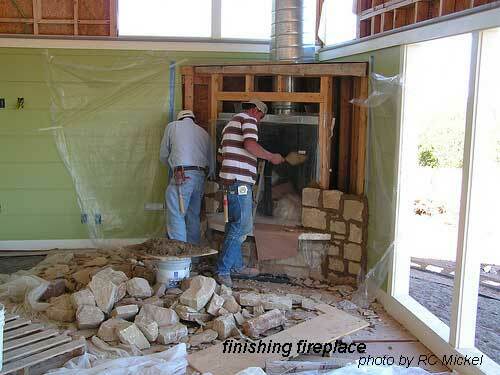 Fireplace being completed and it looks great. 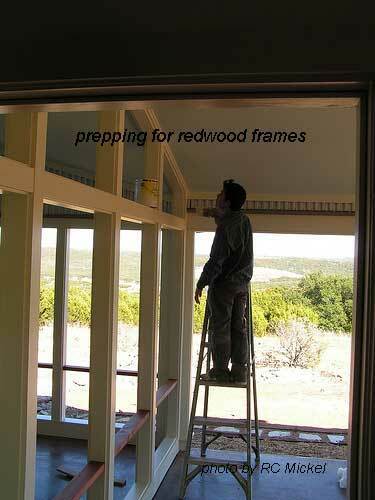 Redwood frames being installed on screen porch wall. 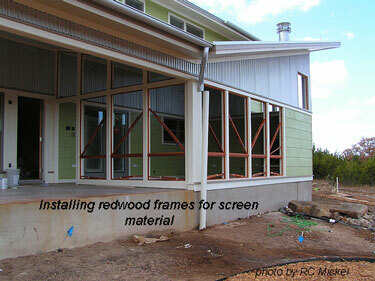 External view of screen porch with redwood frames and screens in place. 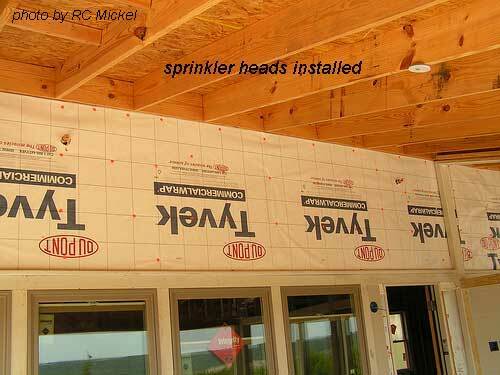 Sprinkler system installed. Insulation and siding installed. 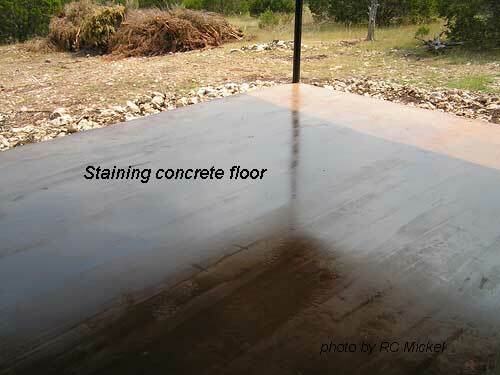 Porch floor stained. 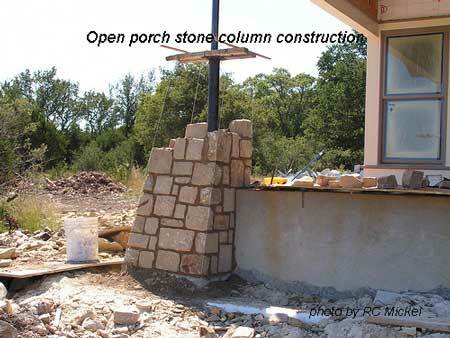 Stone porch column is built to match front porch columns. 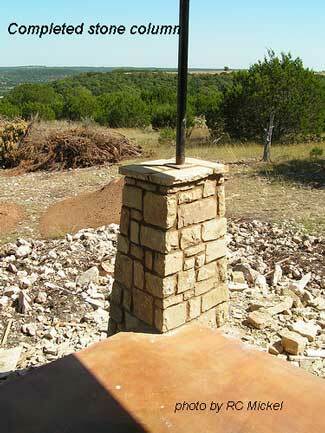 See photo gallery of stone column construction - which includes more of RC Mickel's photographs. 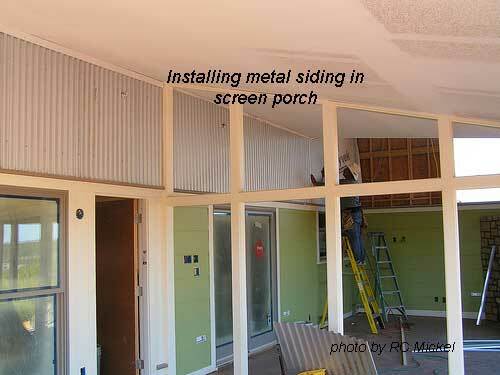 Now that you've seen Build a Porch Part 2, continue on to the rest of the pictures in Build a Porch Part 3. 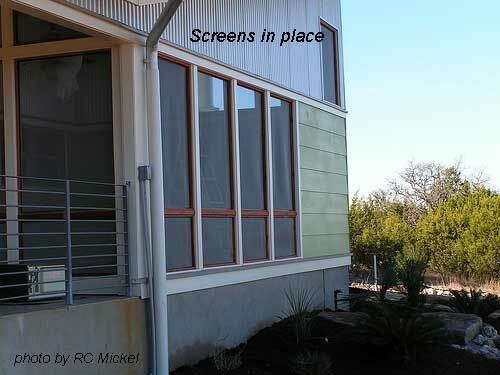 Many thanks to RC Mickel and family for sharing their pictures with us.